The Water Works in Buffalo Bayou Park is a major destination and park entry point made possible by reclaiming a four-acre abandoned City of Houston water system site. 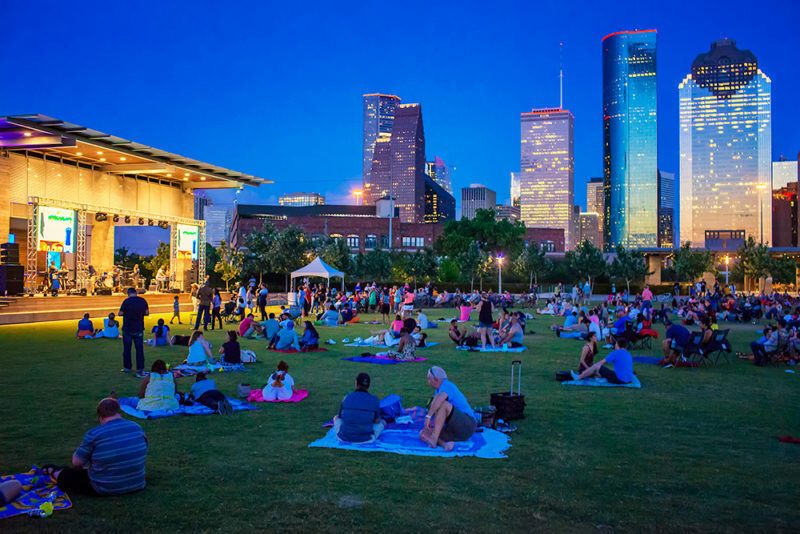 Atop a partially buried water reservoir is The Brown Foundation Lawn, a grassy plateau framed by trees with a stunning view of the downtown skyline. 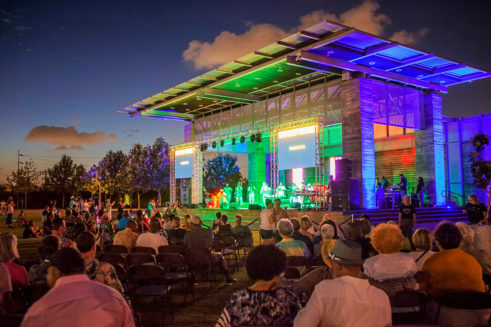 With the Hobby Family Pavilion, this elevated site is popular for performances and events. The Wortham Insurance Visitor Center and Terrace houses restrooms and a bike rental facility on the weekends. 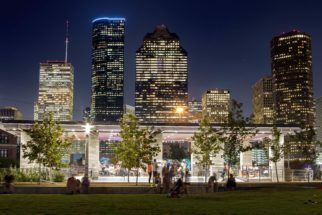 The Water Works in Buffalo Bayou Park is the perfect venue for a cocktail reception, birthday party, wedding or large-scale event. The Water Works is located at 105 Sabine Street, Houston, Texas 77007. Questions about The Water Works in Buffalo Bayou Park? Please contact Heather Hinzie at 713.752.0314 ext. 302.